Kaeda has weekend ops up for frigate roams into faction warfare. These interest me a lot because I am not well versed in non assault frigates. Plus, I enjoy Kaeda and there is a lot to learn from what he does and how he roams. I'm an observer when it comes to learning and having FCs I am comfortable with to watch and ask question for improve the day for me. I was voicing the fact that I feel I have odd gaps in my flying ability. I spend a lot of time in an assault frigate but that is not the same as flying in a frigate. I spend a lot of time in T2 ships in general and my T1 frigate gap is very lacking. When I first started, gates aggressed you for the full 15 minutes, invalidating smaller ships from fighting in low sec. Even cruisers were hit or miss if they'd survive. That means I learned to fly in battlecruisers and by the time I could fly frigates I stuck to assault frigates since gateguns are still a thing. Time in frigates, in fleets, isn't common. I could go try to solo but I don't want to solo. Therefore, I jump for these T1 frigate gangs and try to access some of the blissful abandonment of worry that I see others have when they scream T1 frigates. Off we went with Kaeda dropping the reminder not to warp to zero on the Faction Warfare complexes. I think we were in Caldari space. I don't know. We kept running into cruiser and T2 cruiser gangs. We were a handful of Firetails and a Merlin. I even had an afterburner because I stole Kaeda's fit. I complained about being slow and Roigon wanted to know how a Firetail was slow. To men, it is slow compared to a microwarp drive. I understand all of the technical reasons to fly with afterburners for frigate fights but I can't escape the feeling of being stuck in mud when wanting to run something down. I may not be cut out for frigate fighting like this. I know lots and lots and lots of people adore it, worship it, and scream from the rooftops that it is the best thing ever. Me, I miss my old battlecruiser fights still. The past is always beautiful and tinted with lovely shades of remembrance. I've never been in a frigate corp or done RvB or anything like that and maybe it isn't something I can go back to... I don't know... it just seems that it is something I should keep at since so many people seem to enjoy it so damn much. Oh well. Eventually, we wound up... somewhere... surrounded by T2 cruiser fleets chasing each other and chasing us kinda as we ran from a heavier (is there such a thing?) frigate group that had instalock and stuff. I wound up utterly lost. The home field advantage is well overlooked in this game. Not recognizing any system names and finding myself at a gate called out at another moment after something was changed I jumped to find the fleet, discovered I was in the wrong place, jumped back in and wound up tackled by said frigate gang. I just alt tabbed and went to get some water while they killed and podded me. Being lost frustrates me and I was completely lost, separated from the group, and just in a bad position. I spent some time doing something I'm actually capable of doing without drooling on myself. I was asked by Suleiman to light some cynos in Bosena for him. My heart was warmed. 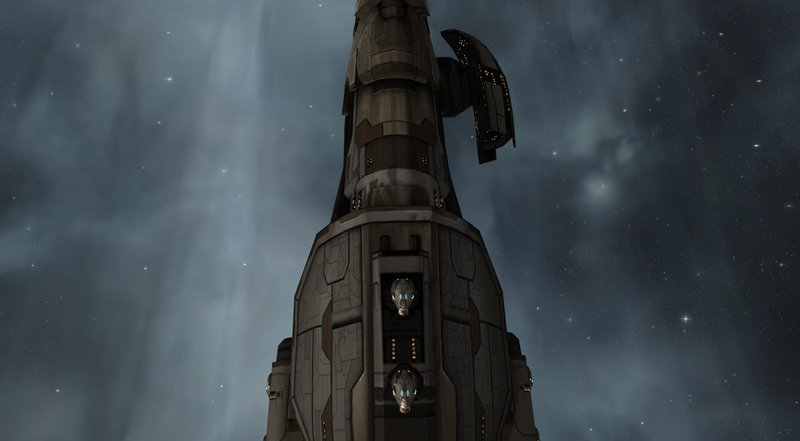 I could light a cyno and not get lost in Bosena. Plus, trust! Yay! Off I went to be a good little cynoboat until my little frustration meter had drained. I had just finished making dinner and getting everyone fed when an evening fleet was called out. Omens. Again. I had one named, "spare" sitting in my hangar. I loaded up the cap boosters and renamed it. More activity right? I said I would and if anyone hasn't noticed, the lasers on an Omen, when retracted for warp look like cattle skulls. 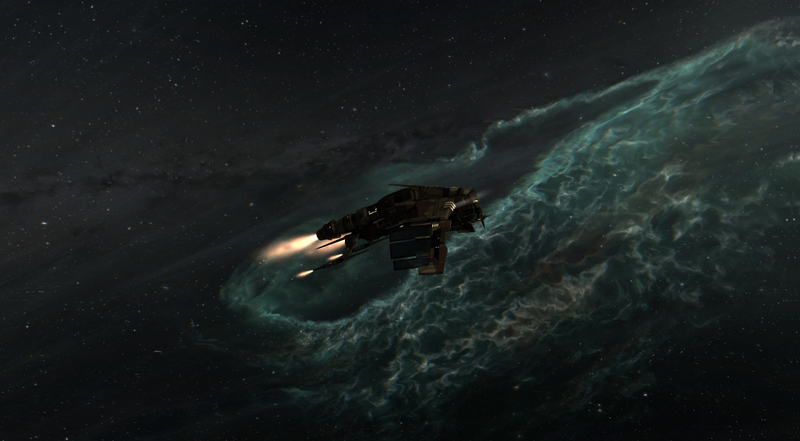 There I was, back in Omen fleet and out to null, again. Hmm. Let's see how it goes this time. I had a taco and a half left to eat but I wasn't running tackle and I wasn't in an Interceptor so I managed to finish eating within the first two systems. I did opt to chew although Titus suggested that I do the python maneuver with them for efficiency. This time I thought about tacticals. Of course, we didn't meet any bubbled, bombed gates when I was paying attention. Again, I wound up moving slowly. Some of it is that my hearing is terrible. My right ear has been clogged since last Friday when I got really sick. Mix that in with being super cautious not to miss system names and my general attempt not to lemming through gates and I just seem slower than everyone else. It is probably checking the gate names over and over again. We wandered around without meeting much for a bit until we bumped into a Firetail fleet. That was interesting. There was a lot of kiting and a lot of warping and we were picking off Firetails who were trying to land good warpins on us. While uncomfrotable in the Omen from lack of familiarty I felt good. It's agile, its fast, and stuff seemed to be dying. I maybe spend to much time paying attention to keeping at the edge of my kiting range but it seems that if I'm kiting I want to do that. Things went well until whomever was in the station started to undock things. The Machariel was a bit... painful... and then some tackle landed and the Firetail fleet left (I think, we saw a Firetail on the sun when we were extracting) and we started losing ships. We decided to bail. Logi down. Supports down. Retreat is not a bad idea in these situations. I guess our entire fleet could have just gone all in and died in a fire to all the things we had no chance of killing. I'm not sure why that would make any sense or be a viable tactic. Extracting is harder at some times than others. This was a time to leave. We'd poked and poked and now we were getting stung for our honey. We got chased a few systems and Titus got tackled. He did manage to take the Ares down with him and the rest of us burned back home. I managed to get my Omen and pod all the way back to Nalvula. I have to admit, I was surprised. I was also the last one to make it back but at least I made it. Out kiting Omen doctrine is a lot of fun. I'm still getting used to lasers in general. The feel of them is different. The ranges are a lot of checking and double checking and do they ever drink cap. Its strength is both in its agility and in the fleet itself. Once we drop below a certain level of ships we are just not effective enough to break things. As for the comment on firetails being slow, it may have been that I had forgotten for a second that you guys where running AB's while I was doing 1.5 or 2KM/s with my MWD fit one. I tend to get lost when traveling to new places too. I use the radar tracking function on Dotlan. Dotland Radar Tracking displays where you are and where you have been since you started tracking. Four easy steps: in game browser - http://evemaps.dotlan.net/radar , push the Start Tracking button, copy the url evemaps.dotlan.net/map/follow/xxxxxxx, and past it into you favorite oog browser on one of your spare monitors. Don't worry about those lost little drones, huddling in the depths of space, alone. Lost drones on gates typically get adopted by someone. They will have a good home until they too DIAF.